We're hittin' the road today. We are taking our kids to "Grandma & Grandpa Summer Camp", staying for a few days and coming home for 10 days without them. It's cool, it's awesome....we get kid-free time, they get to shoot BB guns....it's win/win! Except for my anxiety that everyone on the road wants to take us out, or that Mark and I will go a little more insane every time our son asks if we're there yet. On the other hand, it's the only trip we've taken as a family in two years. Travelling is a big undertaking for anyone. Add in someone who needs dialysis, plus someone who cannot drive, and you might understand why we don't do it much. My BFF says I've mastered the art of the staycation. I told her that's a nice way to spin it! When we do decide to take the plunge, it is always to visit some branch of the family tree because everyone is scattered in various areas of the West Coast. Our usual destinations are Lake Tahoe, CA where my mother lives, Orange County, CA where Mark's mom and sister live and a little podunk town in Oregon, called Umpqua, where Mark's dad lives. We also occasionally hit Sacramento and Chico, CA, where other family and friends live. Not bad destinations by any means, buuuuuuttt there's nothing new. We've never been to Hawaii. I've never seen the Grand Canyon or Yellowstone or the Rockies. We've never been to the East Coast. In fact, the only time I've left this country was on two day trips up to British Columbia. No Mexico, no cruises or Europe. I've been to Las Vegas once and Florida once. Travel is just not something we get to do much of. I think it will probably always be this way. Most of the time it doesn't bother me too much. You know me, I'm mostly just grateful for what I have. 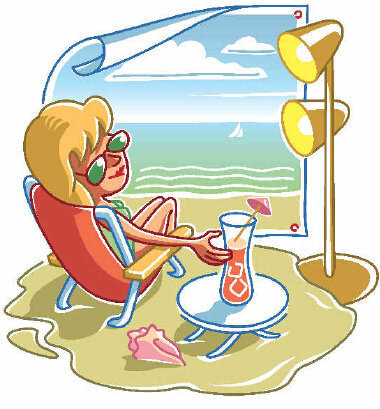 But I gotta admit I do feel twinges of jealousy when I hear about others' vacations. I mean c'mon, we all know a trip to visit family isn't the true definition of a VACATION. Now before any family members reading this (MOM) get all butthurt, you know what I mean. Saying it's not technically a vacation doesn't mean I don't want to do it or don't appreciate it. A real vacation is going somewhere solely because it sounds cool and just to have fun. It's where you get to let your children run amok with very few rules (or better yet, don't take them with you at all), sit down and let others serve you yummy cocktails with little umbrellas in them, not cook or clean for yourself.....that kind of thing. When we make the effort, and spend what little money we have, to travel, it just makes the most sense that it include family and friends we don't get to see often. I would feel so guilty if I had the money to take a trip and decided to go somewhere that had nothing to do with anyone. Don't even get me started on blogging conferences. I would love to get to go to one. 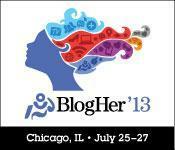 Not only is it not financially feasible ($400 for a ticket to BlogHer?? ), but I also have so much anxiety over leaving my husband alone. I worry so much that something awful will happen and I'm miles and miles away. It's an awful feeling. This not traveling much thing? It isn't anything anyone can fix. It is what it is. I just needed to express it because it's been on my mind as the summer travel season began and everyone's lovely vacay pics started flooding my Instagram feed. It's yet another thing I don't have in common with other people, that makes me different. I do live vicariously through all the pictures and whathaveyous from other people's vacations. And I know this little trip we're on right now will be fun. I also pay attention to the tweets during blogging conferences, and read some of the follow-up posts about them to see if there's anything I can learn. Doesn't open til tomorrow, but still.